As a Visual Studio subscriber, you can use Microsoft Azure at no extra charge. With your monthly Azure credit, Azure is your personal sandbox for dev/test. You can provision virtual machines, cloud services, and other Azure resources. Credit amounts vary by subscription level. Visual Studio Dev Essentials Free services + $200 credit Free services are perpetual. $200 credit is one-time only. Locate the Azure tile in the Tools section on the Benefits page and click Activate link at the bottom of the benefit tile. 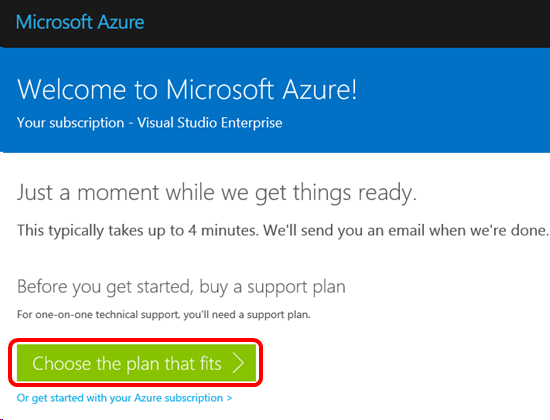 When your account is ready, you’ll have the option to choose an Azure support plan (sold separately), or get started with your Azure subscription. 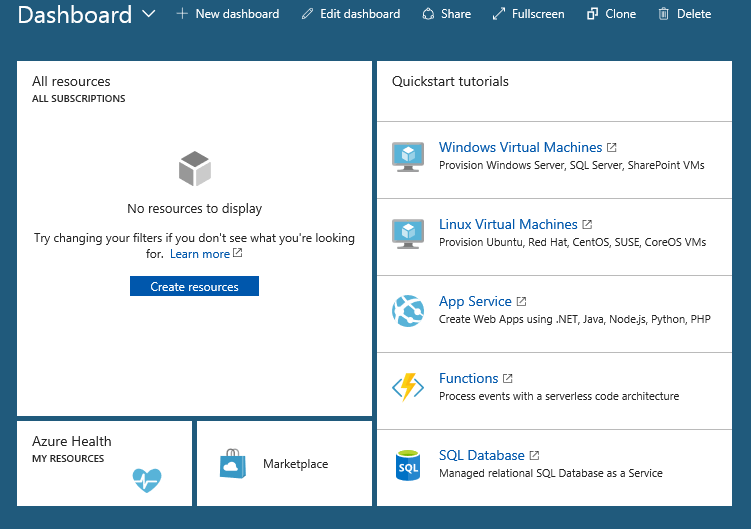 The Azure Dashboard will load, and on your first use, you’ll have the option to take a tour. The tour consists of a series of screen tips that will point out how you can accomplish a variety of tasks and find relevant information. Completing or closing the tour will display the Azure Dashboard. Bookmark the Azure Portal for easy access in the future. Q: How do I submit a technical support incident from within the Azure portal? A: Submitting a support incident from the Azure portal is a three-step process. Activate your technical support benefit, and obtain your Contract ID Access ID. Link your support contract to your Azure subscription. Please visit the Technical support documentation for complete details. Q: I’ve received a message stating that my access to Azure will end soon. What can I do to continue using Azure? If someone in your team or organization purchases subscriptions on your behalf, contact your organization’s Visual Studio administrator and request a Visual Studio subscription that entitles you to the Azure monthly credit amount you need. 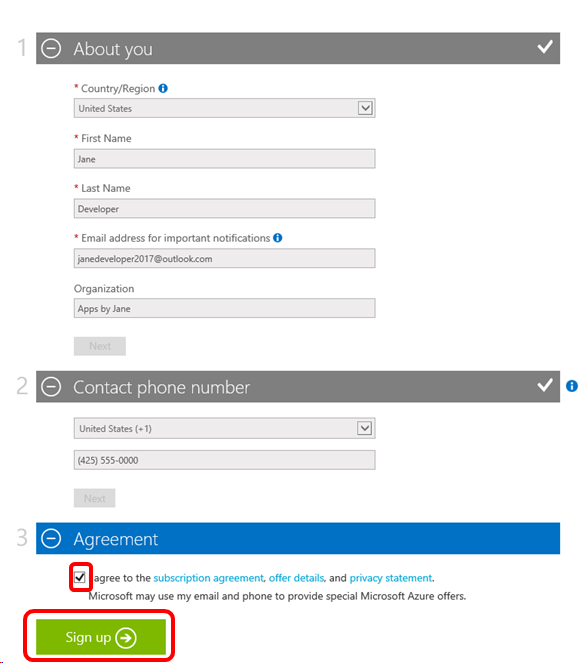 Please request the administrator to assign the new subscription to the same user ID that your previous subscription was assigned to, so that you don’t have to worry about transferring your Azure subscription. Purchase an annual Visual Studio Enterprise or Professional cloud subscription through the Visual Studio Marketplace. Take advantage of a 50% or higher discount by renewing your current subscription through the Microsoft Store. Compare all the subscriptions and their benefits. If you have another active Visual Studio subscription at the same subscription level under a Microsoft account, you can link it to this Azure benefit by adding an alternate account in the Visual Studio subscription portal. If this doesn’t work, you can also try transferring your Azure benefit to the active Visual Studio subscription. If you have another active Visual Studio subscription at a different subscription level and under a Microsoft account, contact Azure support for assistance. 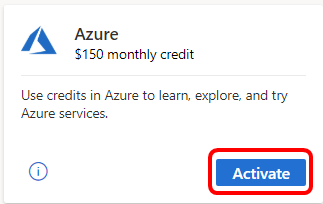 If your subscription has a spending limit and you take no action before it expires, the Azure subscription(s) your Azure subscription will be disabled. To convert it to a pay-as-you-go offer and continue to use it, add a payment instrument and remove your spending limit. If you prefer not to continue this Visual Studio Azure subscription, you may transfer your resources such as virtual machines and databases to another Azure subscription and cancel this subscription any time. If you believe you’ve received this email in error, please contact Azure customer support.